Over three hundred years ago, the Great Smoky Mountains thrilled and exulted the first explorers. 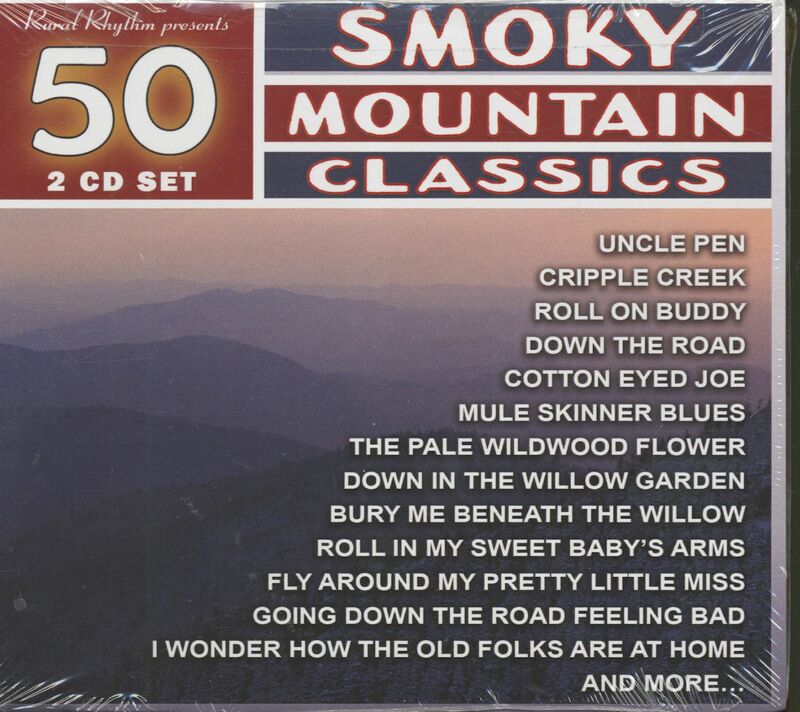 A ridge in the southern Appalachians, the Smoky Mountains straddle the Tennessee - North Carolina border. They were named for the blue haze that often hangs over them. Inevitably, the music changed along with broader culture. 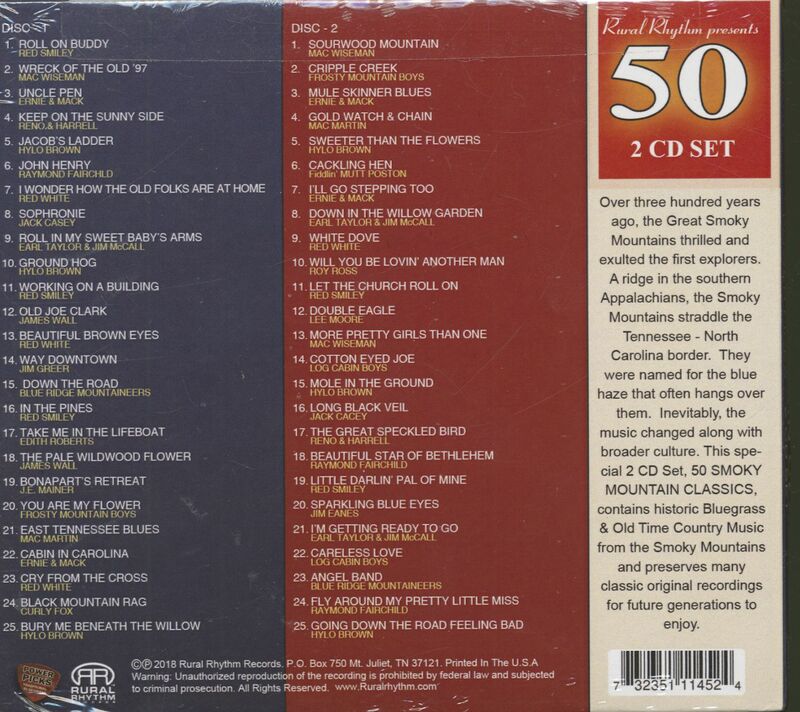 This spe-cial 2 CD Set, '50 Smoky Mountain Classics' contains historic Bluegrass & Old Time Country Music from the Smoky Mountains and preserves many classic original recordings for future generations to enjoy. 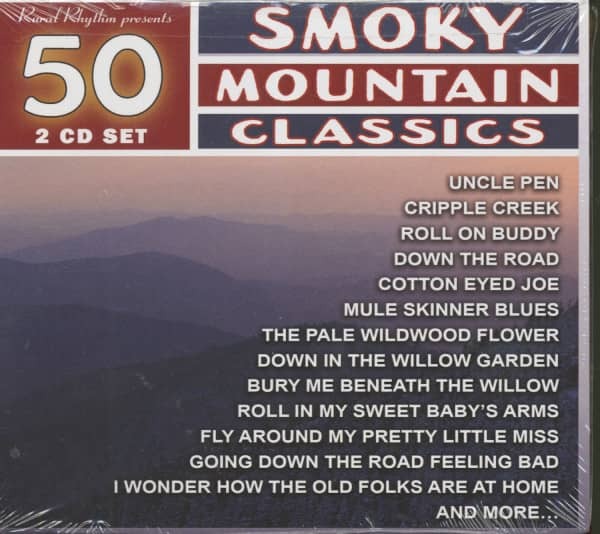 Customer evaluation for "50 Smoky Mountain Classics (2-CD)"